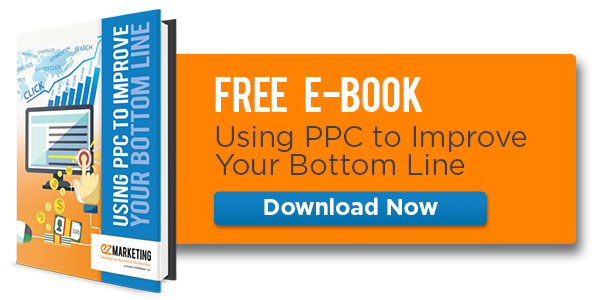 A strong PPC ad message is often the difference between visits to your site and a stale Pay-Per-Click campaign. The tone and content of your PPC ads are the first thing potential customers are confronted with during their customer journey. Regardless of where they fall into your sales funnel, a PPC ad can either seal the deal or direct them to one of your competitor’s sites instead. When your advertising message is so crucial to Pay-Per-Click campaign success, how do you make your ads stand out among millions of other advertisers selling the same services? A PPC campaign earning a high number of clicks may appear to be successful, but are your ads converting visitors into buyers? Whether your ad is a customer’s first touch or part of your sales funnel and process, the message for every displayed ad needs to be targeted. Split testing your PPC ads between each ad group, and even each ad campaign, is one of the easiest ways to optimize your Pay-Per-Click strategy. When you split test ads, you’re pitting similar messages against each other to see which one performs the best. Split testing extends beyond your ads, though. You can apply this to more than one aspect of your PPC campaign as a strategy to increase conversions, and in turn, increase your ROI. Optimizing your Pay-Per-Click ads helps to get your brand’s message in front of the right customer at the right time. When the right message is presented at exactly the right time, a conversion is much more likely. Creating an extraordinary message is what will make your ad stand out from the other advertising noise that is your competition. You need to know your customer and how to meet their needs in 46 characters or less. If your Pay-Per-Click campaign is relatively new, you might not have enough data yet to make ad copy decisions. An important best practice for any online advertising strategy, not just PPC, is to use data to make educated decisions. Data should always be the driving force between any major changes. Without it, your campaign isn’t supported by anything tangible. Once ads have been allowed to run for at least one month, you can begin to analyze their data. PPC optimization is all about starting with a broad data set, constantly improving and narrowing the field. When you begin to dial-in on your ideal customer and brand message for your campaign, you increase your odds of success exponentially. Baseline data allows you to see what message customers respond to best, getting rid of ads that fall short before they waste your spend. The average CTR (click-through rate) for a search ad is 1-2%. Anything over 2% is considered above average. Look for ads that come as close to a 2% click-through rate as possible. These ads have proven they perform better than others in their ad group, making them the best choice for split testing. The easiest way to begin split testing is to make subtle changes to your best performing ads. Start by changing the copy or headline of your ad, testing which one is more appealing to your customers. These subtle changes might not seem like they’ll have much of an impact, but you’d be surprised. You can see from the ads above that changing only the headline message made quite a difference. Adjusting the headline not only improved CTR, it also lowered CPC (cost-per-click). 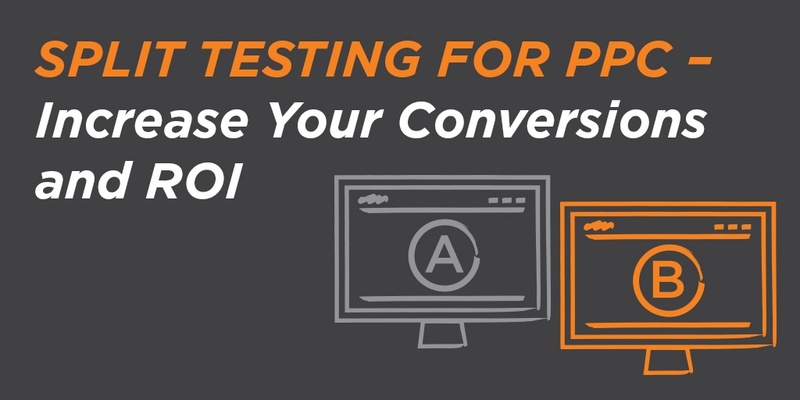 Split testing allows you to find which brand message your customers respond to better. It also allows you to optimize your message by paying less for a click than you would have before. When more people are clicking your ads and you’re paying less for it, your ROI improves. Landing pages work hand-in-hand with your Pay-Per-Click ads. When you build an ad for your campaign, you also have to decide what page users will be directed to from a click on that ad. These landing pages are displayed as the “destination URL” at the bottom of each search ad. A positive landing page experience is just as important as good ad copy. Landing pages that are well-built and optimized give customers a seamless experience, encouraging conversions. Think of landing pages as the final push customers need towards completing a conversion. Good ad copy can help get customers to your landing page. If that landing page is confusing, poorly organized, slow to load, or irrelevant, your customer’s journey ends there. Split testing landing page design and messaging is a necessary step towards understanding your customers’ buying journey and how you can work to optimize it. In the above example from HubSpot, when landing pages are optimized to continue the ad experience, carrying along their messaging and relevance, leads can increase by over 100%. Split testing landing pages is a bit more involved than testing ad copy, as new pages and designs need to be created on your site. Creating new landing pages for your split tested ads helps you fully understand the customer journey and how they lead to a conversion, from start to finish. Optimizing your Pay-Per-Click strategy is not a one-size-fits-all approach, nor is it a set-it-and-forget-it strategy. Each advertiser is different, with different goals they’re trying to achieve through an AdWords campaign. One thing almost every advertiser is concerned about is increasing their conversions, which ultimately helps to increase their ROI for PPC. When you split test ad copy, you’re bringing your PPC campaign closer and closer in line with your brand’s message. If you ads rarely come close to a 1-2% CTR, your brand message is not meeting the expectation of your customers. Split testing ad copy allows you to pin-point what works and what doesn’t, getting closer to the perfect ad for your target customer. Adding landing page split testing into the mix allows you to continue the customer journey, controlling exactly how your customers are presented with an offer. Split testing ad copy is a good start, but focusing on other parts of your customer journey, for example landing page optimization, is important too. Rather than dropping off half way through the journey, you’re seeing it through to the end. Presenting users with the right message every step of their journey guides them through your sales funnel, into a lead, then into a valuable customer. When good ad copy works together with an excellent landing page experience, conversions improve for your PPC campaign, and so does your bottom line. Learn more about split testing, optimizing your landing pages, or Pay-Per-Click in general from our team of Google AdWords certified professionals.